Welcome back to the David Dorer Show. You can listen to this show live at 6PM by using the spreaker player application below. Once the show starts, it will automatically update. 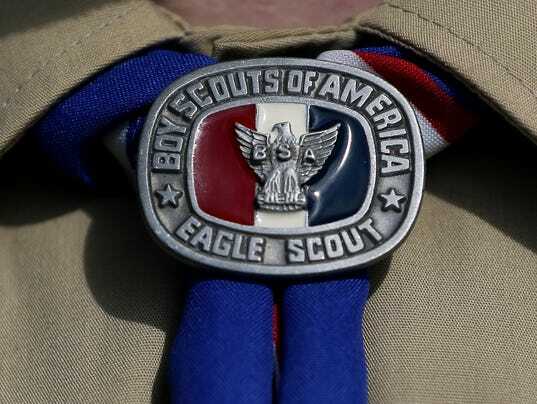 Today’s episodes is the “New Frontier of the Boy Scouts” Edition, where I will discuss the Boy Scouts of America’s unanimous decision to allow girls into boy the Cub Scouts and the Boy Scouts. I am an Eagle Scout, as I’ve mentioned before, and my panelists are all Eagle Scouts also: James Wolf (@MusicMan478), Everett Verner (@RedECritique), and Scott Corkery (@UncorkedView). This episode is a tad different in that the dialogue of the panel will focus exclusively on the issue of the Boy Scouts’ recent policy change. We will of course also have News and Blogger Fodder, though. The Show starts at 6PM EDT, and can be heard live, right here. In reality, the logistics of this change have not been completely worked out just yet. Whether or not this will create a co-ed Cub Scouts and Boy Scouts program is not yet known. The Scouts have had a co-ed Venture Scout program for decades, and it has been a way for older girls and boys to participate in high-adventure camping and exploring trips. However, this program does not include the rank system of the Boy Scouts, and so Venture Scout girls have not been able to be Eagle Scouts. Another important point of critcism comes not from political pundits pushing back on the issue because of the embroiled gender issue, but rather from another organization, the Girl Scouts of America. Read a letter from the President of the Girl Scouts America below, sent back in August, suggesting that the Girl Scouts should focus on improving its program, and the Boy Scouts should seek to include the Boys that do not participate in its program, as opposed to essentially siphoning off the Girl Scouts’ membership. There’s certainly a lot of views to consider here, and we will do our best to address it all fairly and justly. Follow me at @DavidTDorer, listen to the show on Stitcher, & subscribe on iTunes.